We're rounding out our Shaker Week with more inspiration from our Design Team today! 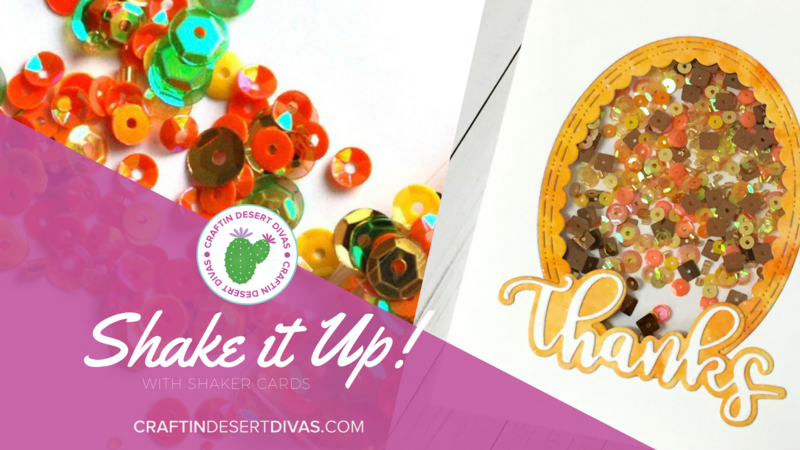 You can see all the dies, sequins and supplies we carry for shaker cards in our shop. 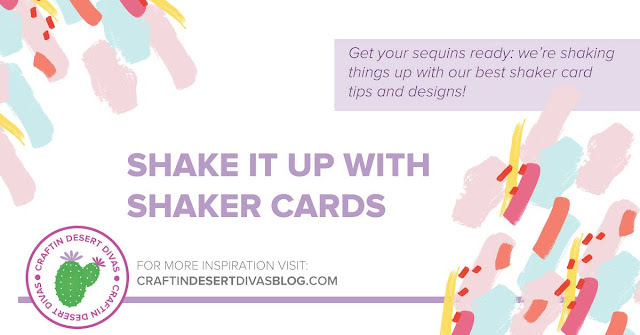 Whether you're a shaker expert or just getting started, we wanted to share some of our best tips and ideas for these fun, interactive cards. Keep scrolling to see more, then tell us YOUR best shaker tips or the best tip you've read this week in the comments below. When making a shaker card, make sure your foam adhesive isn't sticky along the edges. For those who don't have a non-stick tool, baby powder or corn starch works great!! Think outside of the box when you fill your shaker. You don’t just have to use sequins there are many things you could put in there including stamped images. Something that I have found that make shaker cards so easy, is double sided foam adhesive sheets. They allow you to run your thin wafer dies, any shape, through your die cutting machine and you have a solid piece to create your shaker with! Using a solid acetate is much better than a thinner acetate and my favorite tool for shaker cards is the Powder Tool Applicator from Craftin Desert Divas. Before you fill up your shaker element with sequins, use the Powder Tool Applicator. Then you can be sure that no sequins stick on your acetate. My tip for shaker cards is to glue down some of the sequins so that even when the card isn't being shaken you can see the sequins! Don't overfill your shaker card. Use a variety of items in the shaker for more interest. (sequins, tiny beads, or die cut items that go along with the theme of your card). Use a powder tool on the edges of the foam adhesive so that shaker bits don't stick to the adhesive. DESIGN TIP:When using larger sized fillers for your shaker cards double up the height of your foam tape to leave extra room for your bubbles to move around. Mix it up and use tiny. beads, sequins and confetti. 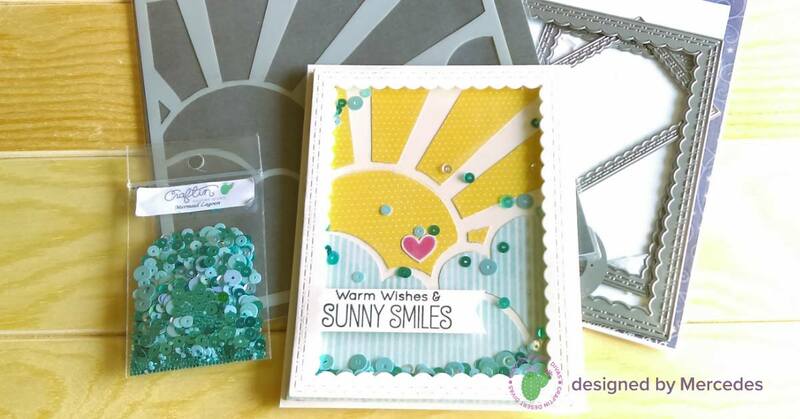 Share your Shaker Card inspiration in the CDD Gallery - our official Facebook Group! 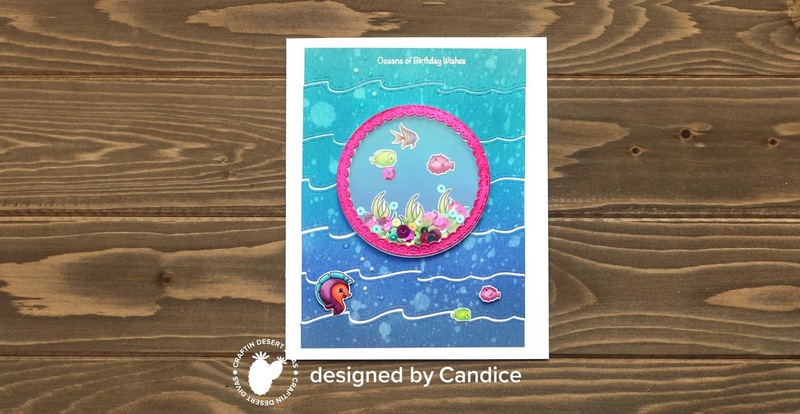 When you add your project into the Gallery you'll be entered to win a giveaway this Saturday. 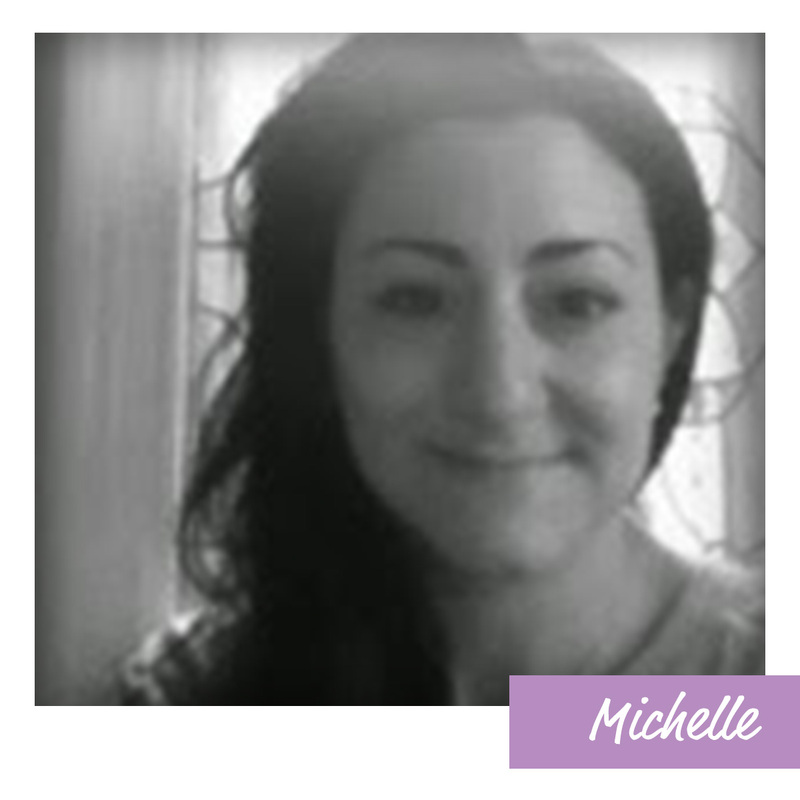 Have fun and we can't wait to be inspired by you!!! 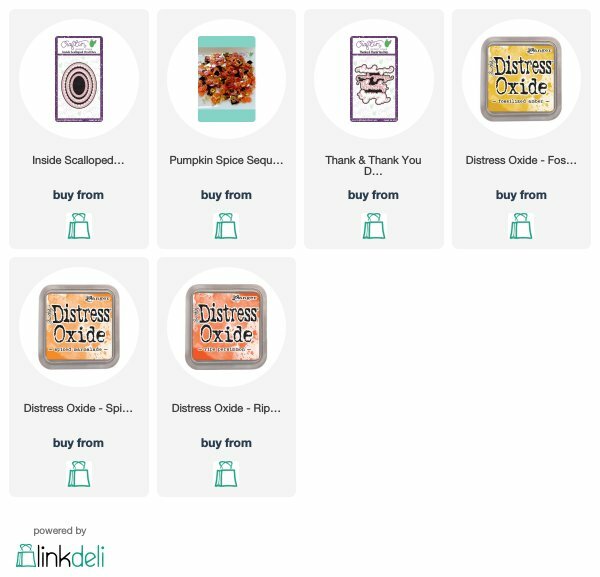 If you've been intimidated by shaker cards, today is your lucky day! 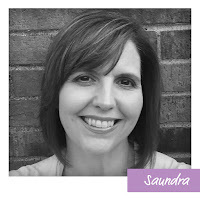 Saundra is breaking down the shaker process in-depth so you can spend more time crafting and less time searching for instructions. 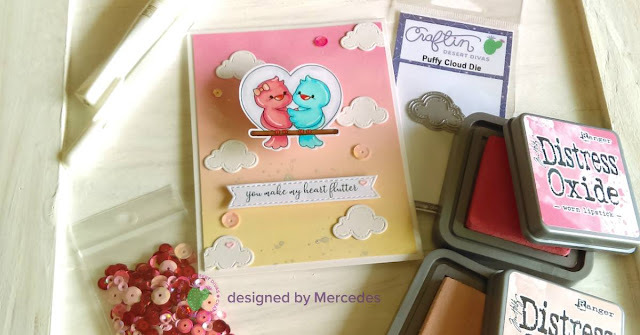 Read her post below and learn how to create a shaker card from scratch. 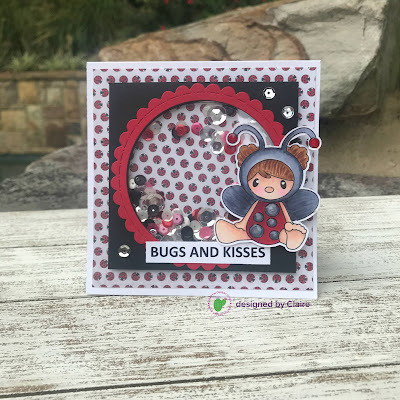 Craftin Desert Divas carries a wide variety of sequins, dies, and images in the shop that will have you making shaker cards like crazy! A full supply list is linked at the bottom of this post. 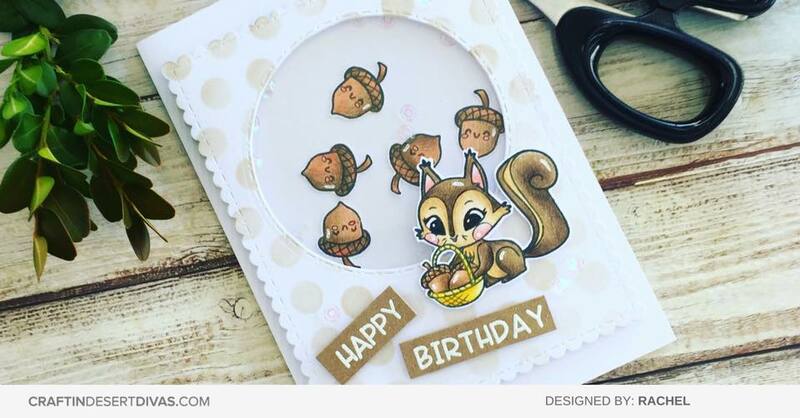 I added my shaker panel to a top folding card and decorated the front with this cute little squirrel and a sentiment from CDD Favorite Nut stamps. 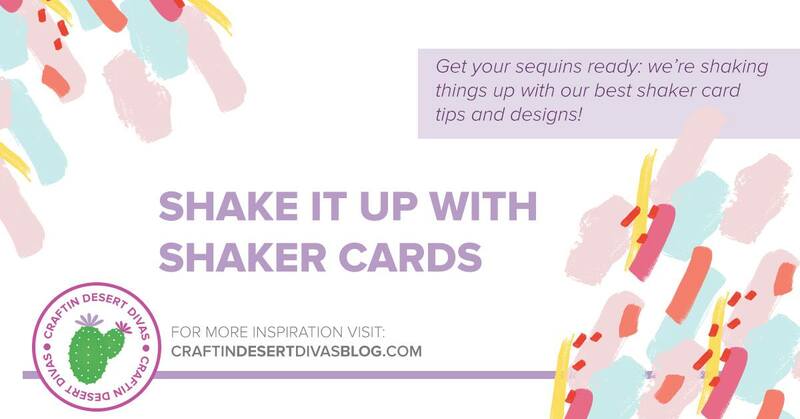 I hope you found this tutorial helpful and that you’ll give a shaker card a try very soon! 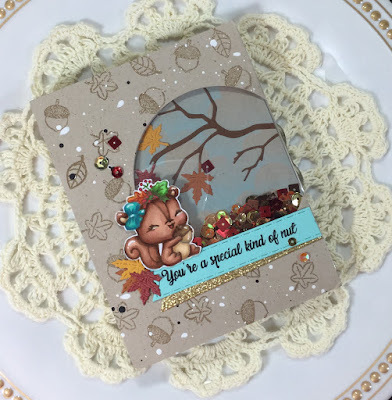 Sherry is kicking off our Shaker Week with a beautiful fall card on our YouTube Channel. Line up your dies, pick out your sequins, it’s time to shake things up! Whether you’ll be making your first shaker card or you’ve got shaker fever, we want YOU to join us this week. 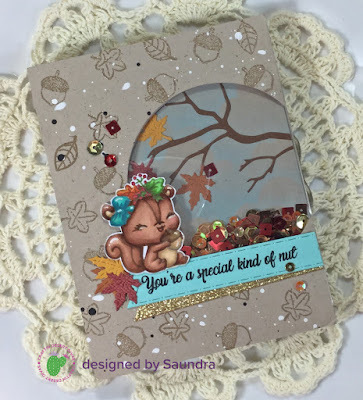 All week long, our Design Team will be sharing Shaker Card inspiration and how-to’s on our blog and in the Craftin Desert Diva's Facebook Gallery. 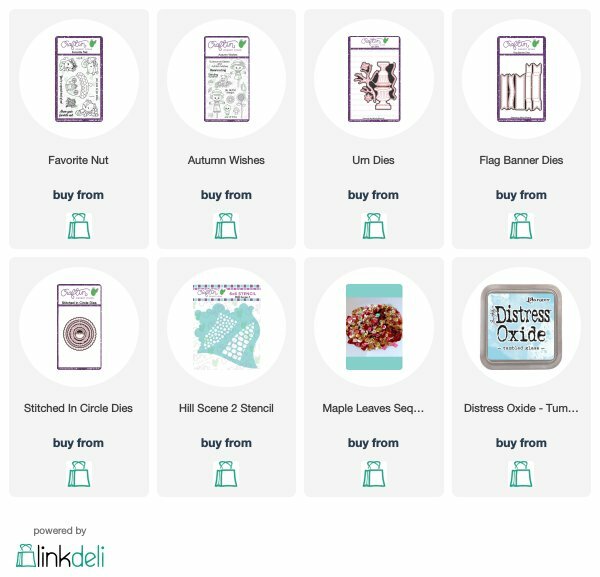 When you participate and share your cards in the Shaker Card Album you’ll be entered to win a giveaway valued at $15-$20! Winners will be chosen on Saturday. Visit us this week for all things SHAKER and SEQUINS! 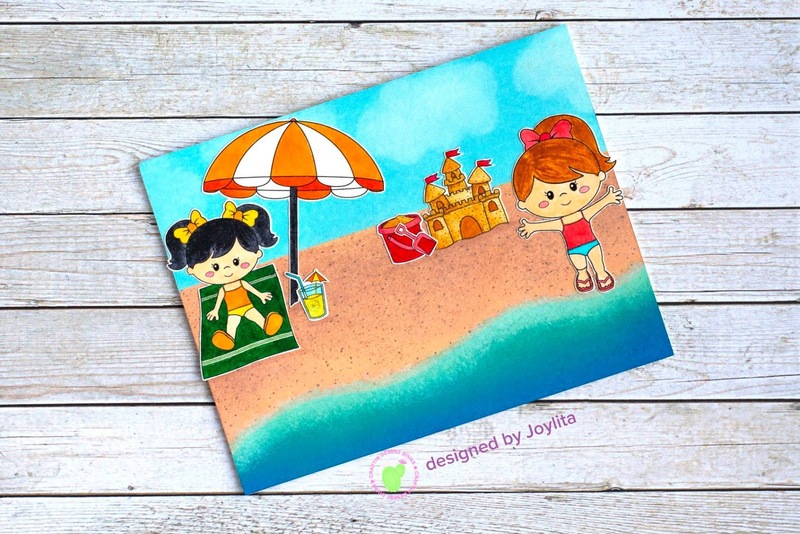 Distress Oxide Inks are versatile, fun and come in a wide variety of colors. We carry the entire collection in our shop here. 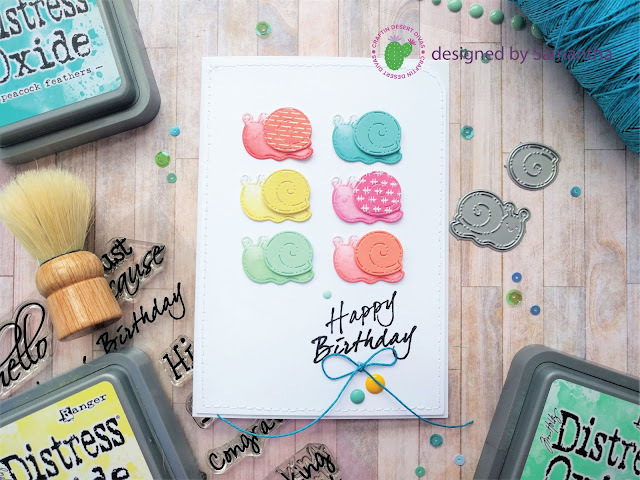 Those are just some of the reasons we love Distress Oxide inks and we're excited to share some tips and inspiration from our design team today, too. Michelle's Oxide Ink Tip: When adding distress oxide to colored cardstock, choose an ink color one or two shades darker than the cardstock so it coordinates beautifully! Today, we're bringing you more designer inspiration along with some of their best tips for creating with Distress Oxides! 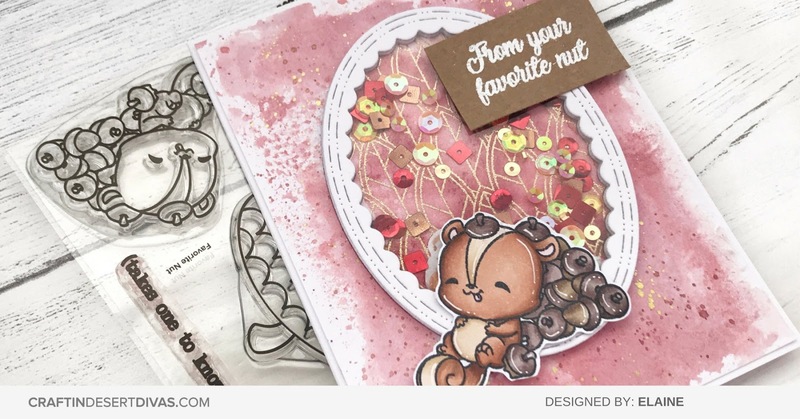 Create a quick, simple and beautiful background by creating a color splash with Distress Oxides and water. 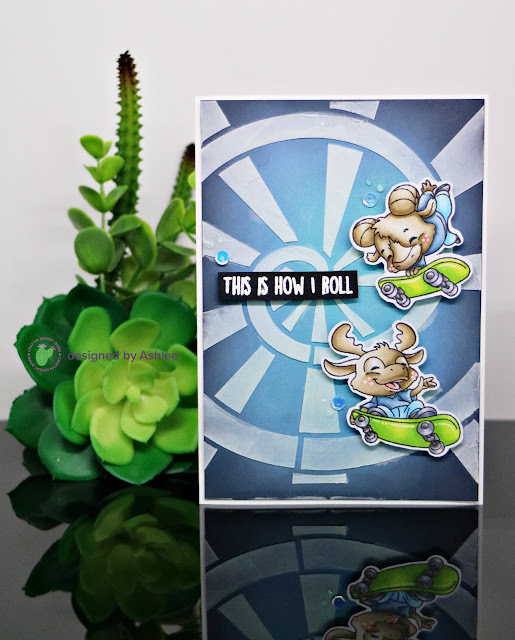 I love the depth paste gives and to add a bit of color I let my paste dry and then re-tape my stencil over the area and then add my oxide inks right on top to add more color! Be sure to dry each layer of color fully before applying the next to avoid a muddy mix of colors. Since Distress Oxides have pigment properties, you can stamp and colour using these inks not only on white cardstock but also darker ones. If you get a harsh line while adding Distress oxides on paper, then continue blending it, and you will get a smooth finish. 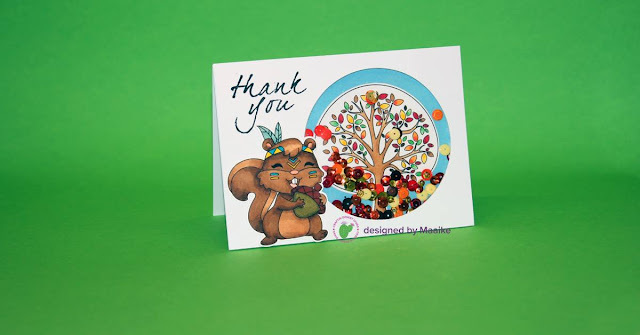 Distress Oxide Inks can be used for embossing as well, so you do not need to own different colours of embossing powders. 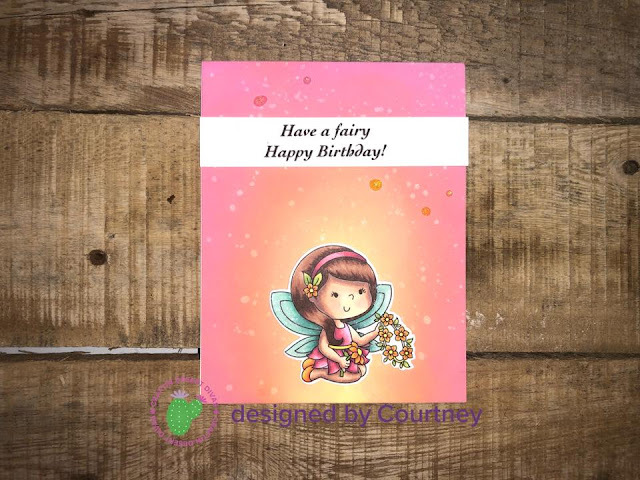 You can stamp with the Oxides and use clear embossing powder to get similar results. I find Distress Inks are easier to blend on Watercolor Paper and Bristol Smooth Paper. Also, you can't go wrong with some Dr. Ph. Martin's Iridescent Silver splattered over the top! Smoosh Distress Oxide onto Ranger Gloss Paper then use Distress Glaze to bring up a beautiful shine. Be sure to use a permanent ink such as Staz On if you intend to stamp on later. If you create a background with the Distress Oxides let them dry well, before you ink them with the same color (like I've done on my tags). 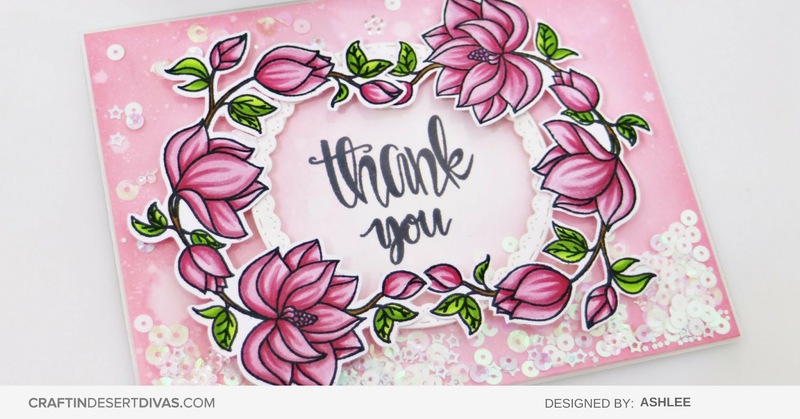 Some water splashes make the inked color look very attractive and gave them a new look. 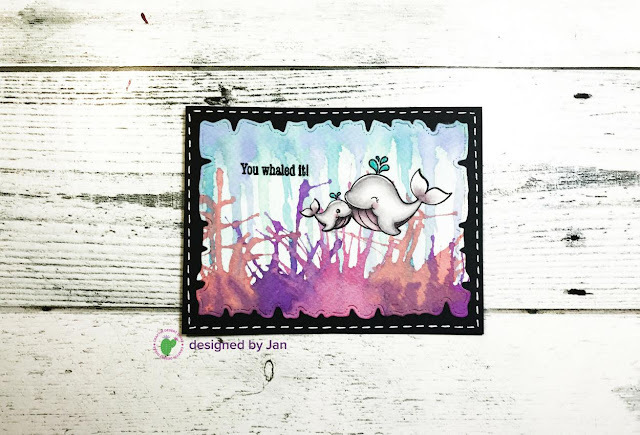 Show us your Distress Oxide Ink inspiration over in the CDD Gallery - our official Facebook Group! 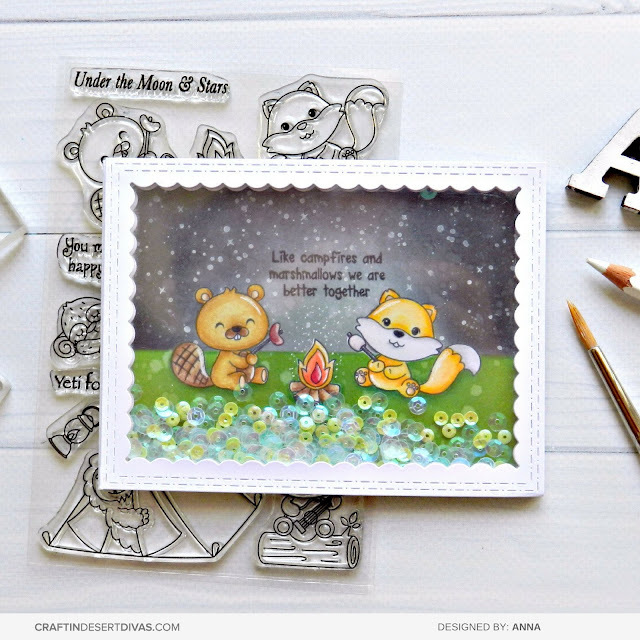 We'd love to see your favorite Distress Oxide Ink projects and ways you've loved using them. 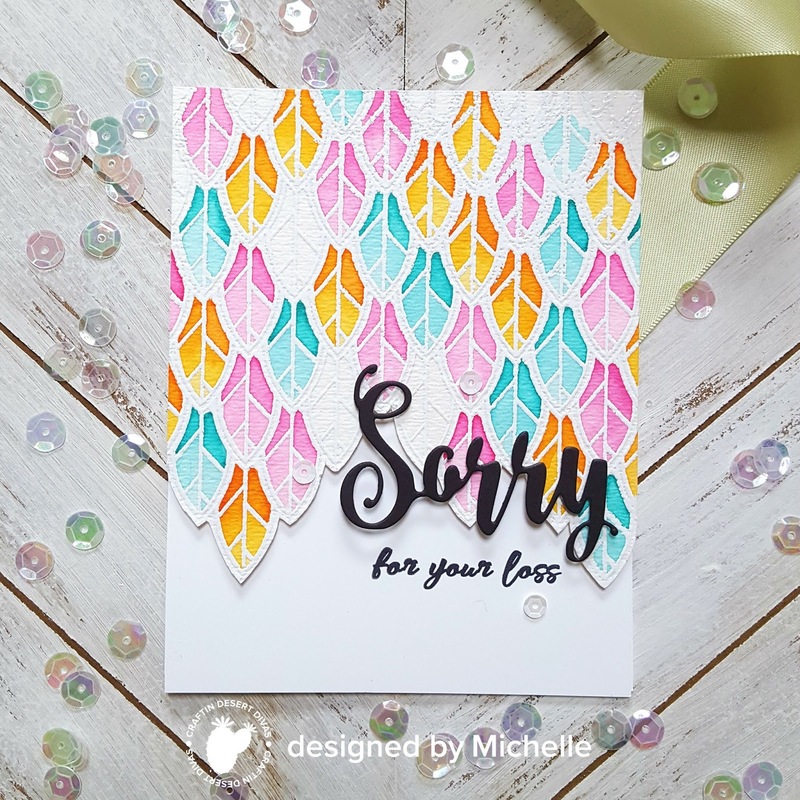 Michelle is up on the blog today showcasing four fabulous ways to create with our Leafy Background Stamp! 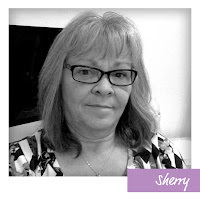 Check out her full post below! You can do pretty much anything with this stamp!!!! 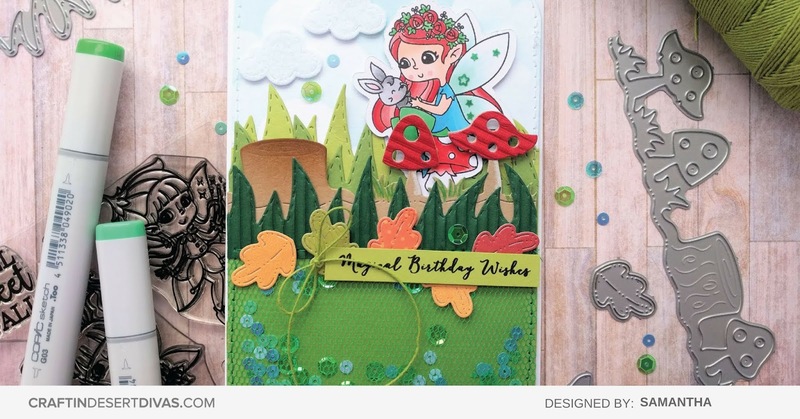 One of my favorite craft must-haves is coordinating paper!!! If I don't have any on hand.... I can color some up with Distress Oxide Ink!!! 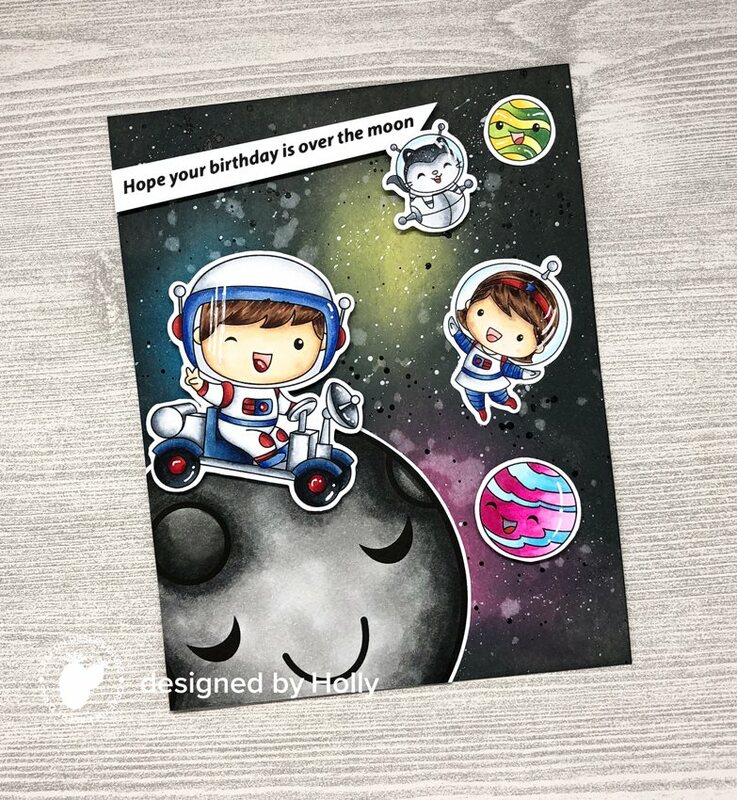 Select your colored cardstock. I chose light pink. 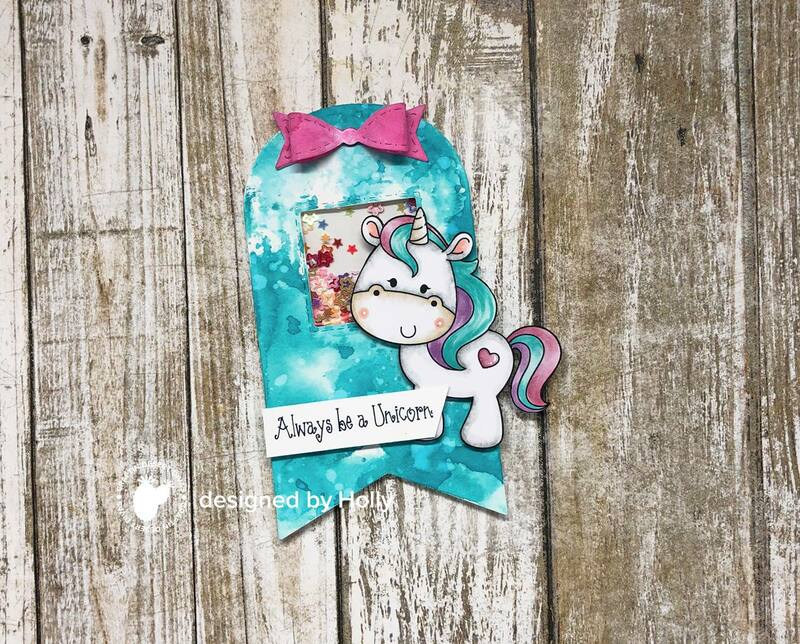 Die cut two tags and set them aside. 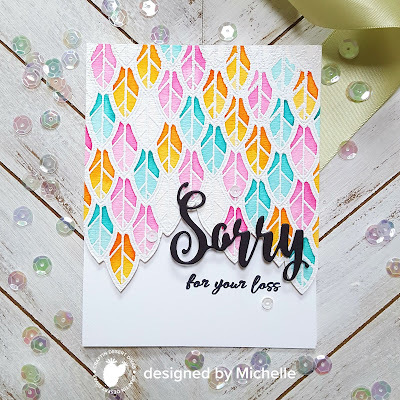 Heat emboss the leafy background stamp onto the colored cardstock. Select your ink. I chose Worn Lipstick Distress Oxide ink. 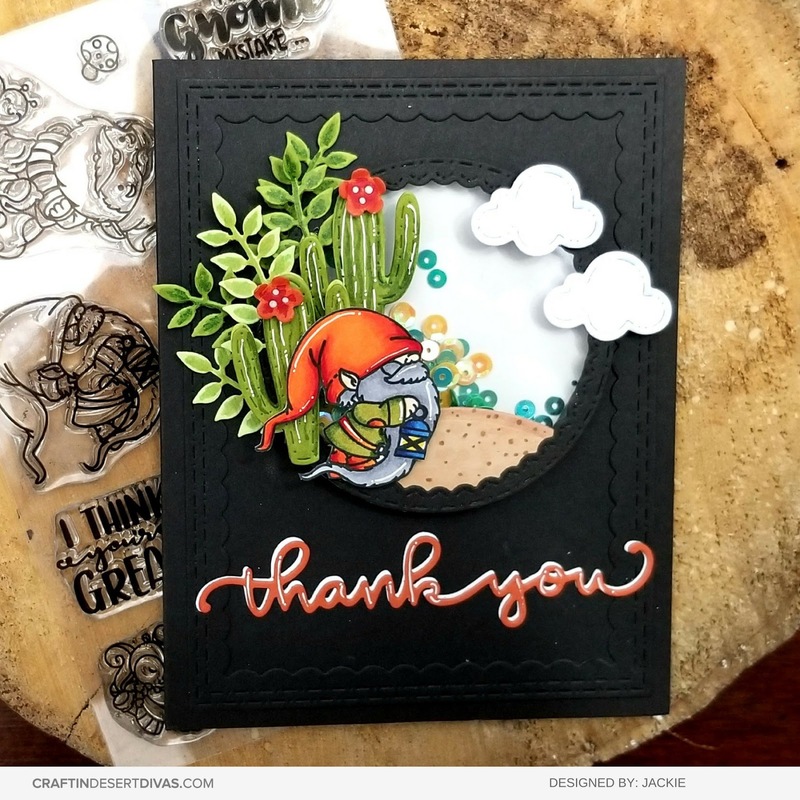 Ink up the embossed cardstock. Use a die to cut any shape. Finishing touches: I added some splatters of gold paint, added my sentiment, adhered my tags with a twine bow, and scattered some sequins. DESIGN TIP: I made sure to fade the ink on the top and bottom for an ombre effect. This card uses the same technique and same steps. I used Peeled Paint Distress Oxide ink. 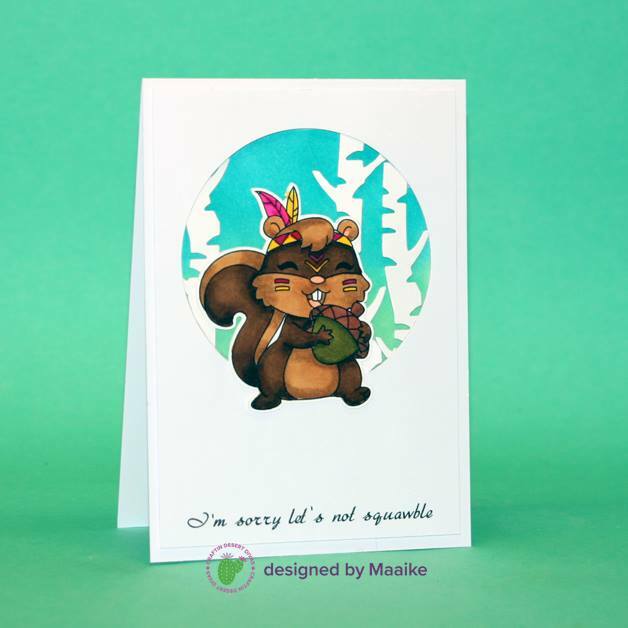 DESIGN TIP: Always test the ink on cardstock first to see if you like the desired color. 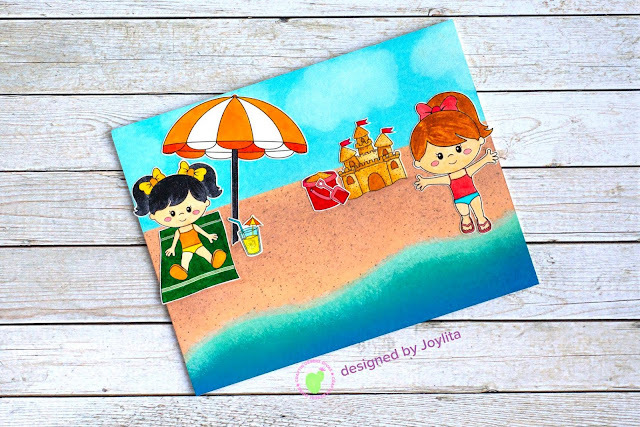 Have fun mixing and matching cardstock and ink...the possibilities are endless!!! 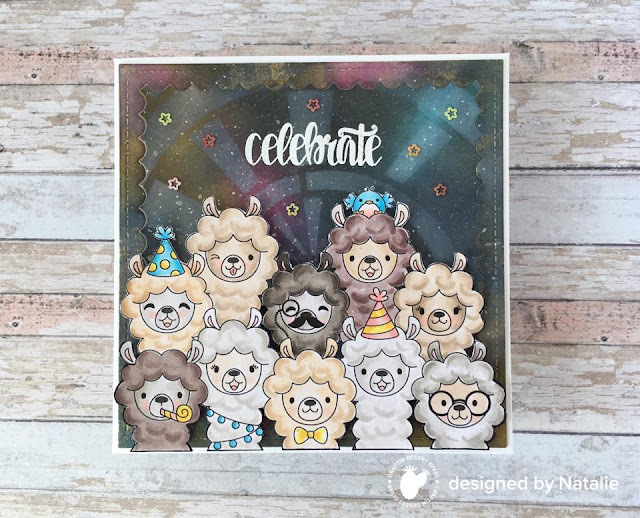 Ombré backgrounds are a very popular technique! 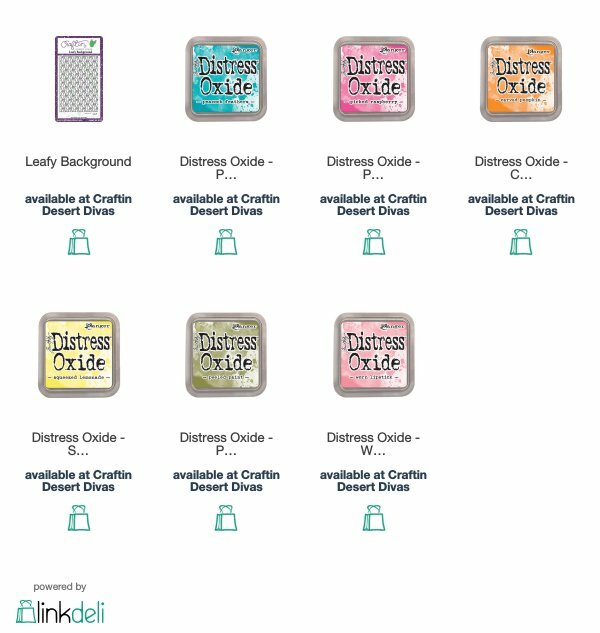 Choose two complimenting distress oxide inks. 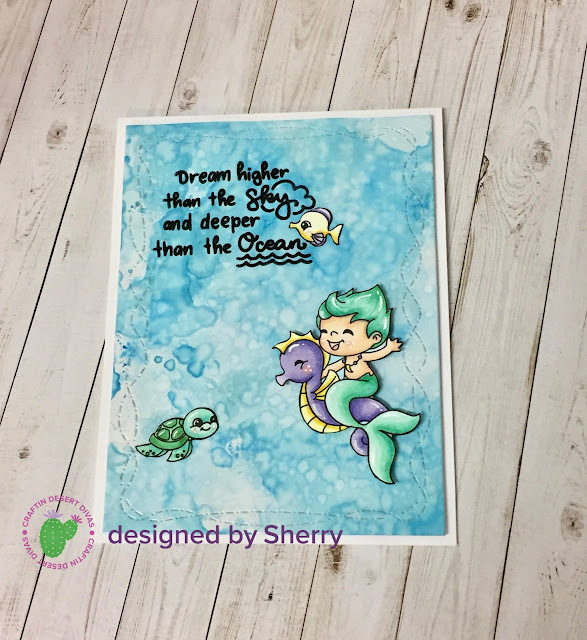 Ink up the top and bottom portions of the embossed paper. Keep it darker at the edges and lighter toward the center. 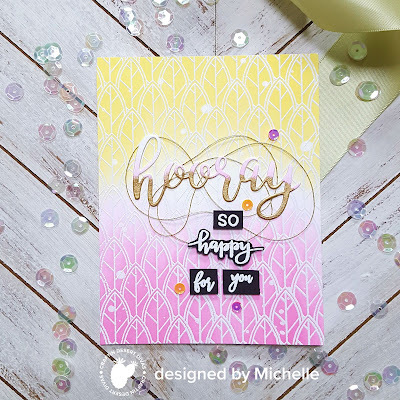 Finishing touches: I added a few splatters of white paint and finished my card off with sentiments, gold thread and sequins. 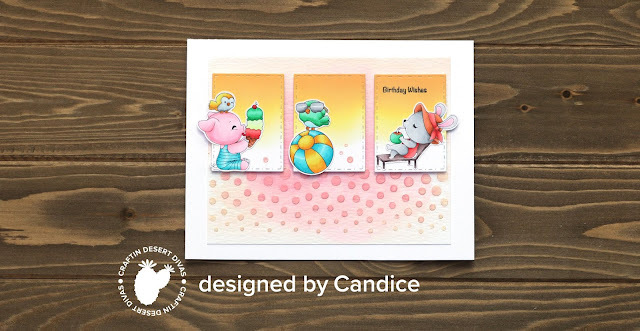 Heat emboss the stamped image onto watercolor cardstock. Add Distress Oxides with a paintbrush and some water. Colors Used: Peacock Feathers, Picked Raspberry, and Carved Pumpkin. 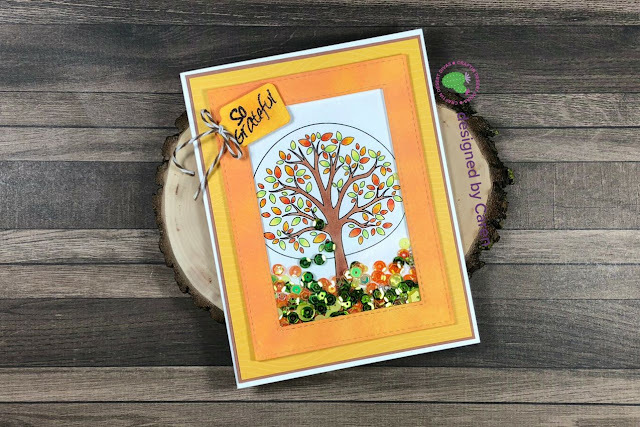 I trimmed up the bottom part of the watercolored leaves so they appeared to be cascading. DESIGN TIP: Deposit saturated color at the base of the leaf... add very little water to the brush and pull the color to the tip of the leaf. Hope you give any of these techniques a try and don't forget to show us!!!!! 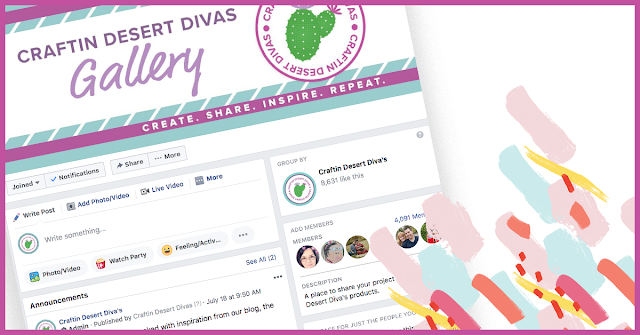 Use #craftindesertdivas so we can find you on social media!